An old lampshade frame gets tricked out with new wiring and miles and miles of creamy wooden beads. Proof positive that everything old is new again! 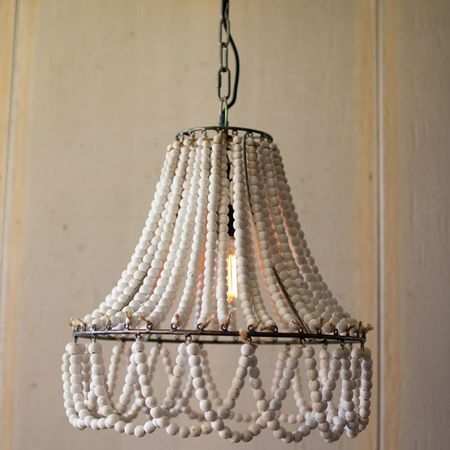 Great glam for a bath or guest room.